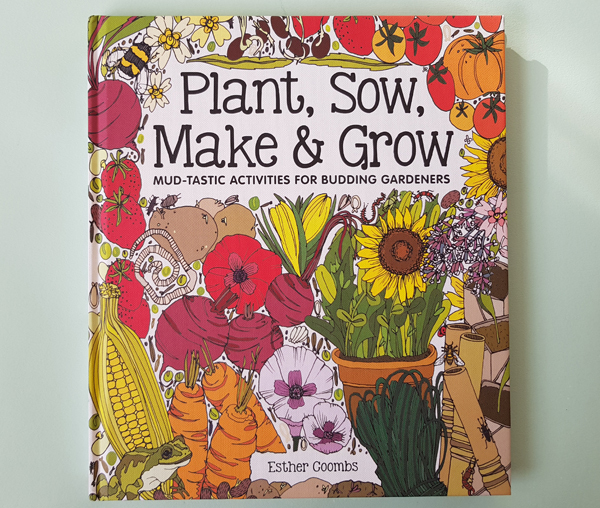 With Spring just around the corner, Esther Coombs new book Plant, Sow, Make & Grow has come at the perfect time for budding gardeners. 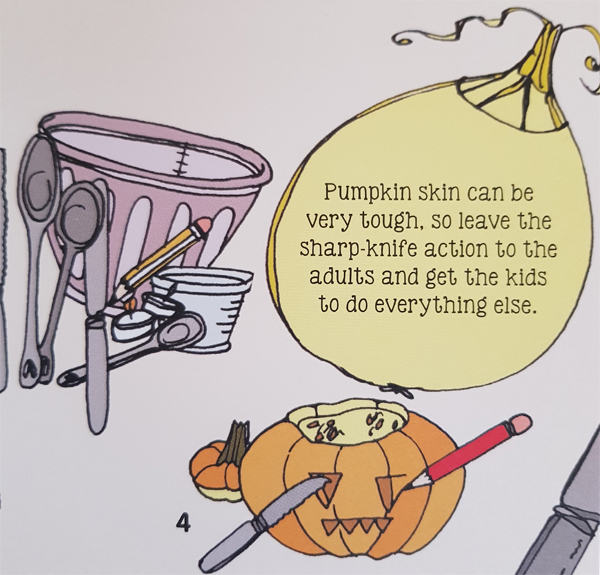 Plant, Sow, Make & Grow is a book to get people gardening - especially those with children in their care who they want to be gardening with. It's full of down-to-earth realistic activities with tips, tricks and short cuts to make sure all the projects are doable for all ages. It's cheap to garden and this book tries to be as cheap as chips, with tools made from recycled rubbish and lots of other innovative ideas. Get little gardeners growing with this low-stress approach to producing yummy fruit, veggies and bug-friendly flowers. You'll find plenty of handy gardening information to get you started plus tips about what wildlife you may see, raiding your recycling box to make some useful gardening accessories and other craft activities. so grab some seeds and have a go! We can't wait to dig into this book! 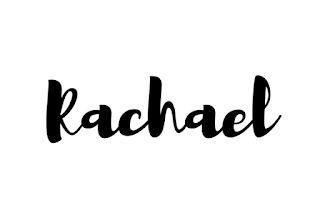 The book is split into the four seasons, so we are currently focusing on Spring, only no one has told Mother Nature and she's currently giving us weathers fit for Winter! 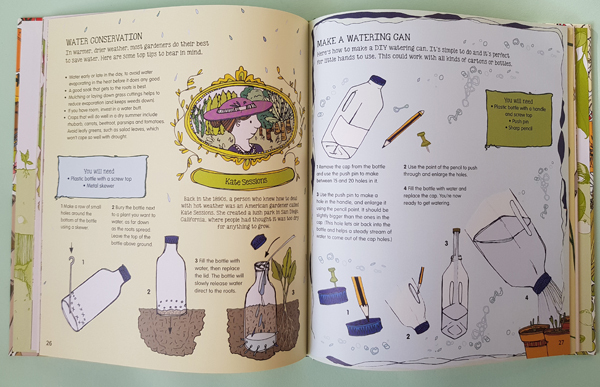 I love how the book focuses on recycled products such as toilet rolls for seed starts, hanging tomato containers made from plastic bottles, and watering cans from bottles too. Along with what to plant in each of the seasons, and how, there are lovely pieces on wildlife, which are good for the garden, and which are not so much, and how to encourage them in. Whilst the book is not particularly thick, there is a lot packed in each of the seasons, and has really piqued my son's interest. We've spoken about planting our own pumpkin this year - but I just can't see him wanting to carve it up for Halloween! 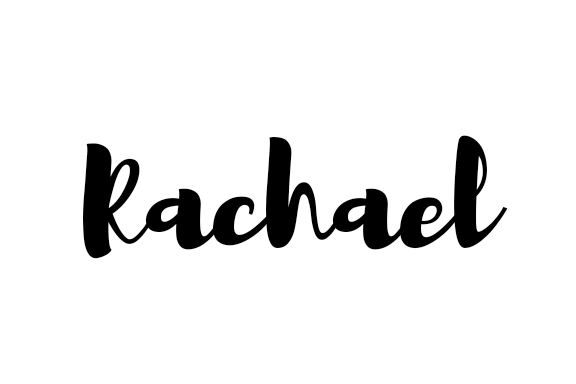 As we work our way through the book, I'll post our progress up on my Instagram page, so be sure to give me a follow and watch how our progress grows. Esther Coombs is a professional illustrator living and working in rural Kent, UK. The inspiration for Budding Gardners came from the gardening club at her daughter's school (founded by Esther) and a charming series of newsletters/zines, which she produces and illustrates herself in the same informative and approachable style as this book.